Every week should be National Apprenticeship Week, says Mr. Loadlink, as he prepares to help shape the future of another young professional. It’s National Apprenticeship Week here in the UK, where government, employers, and apprentices come together for five days of visits and events in an attempt to encourage more people to choose apprenticeships as a pathway to a great career. Underscored by the tagline ‘Apprenticeships Work’ and widely discussed on social media at the #NAW2018 hashtag, it’s a great initiative. But next Monday should mark the start of another apprenticeship week. And the Monday after that. And the Monday after. Every week should be apprenticeship week. wider economy—but my sense is that schools and the education system remain obsessed by academic subjects and don’t really embrace those, like me, who might demonstrate an aptitude for more practical content. I’d go as far as to say there’s still a stigma attached to being an apprentice, as though someone has been forced to go to Plan B or take an alternative route. Academic subject matter can be a struggle for many people, myself included. As I hope #NAW2018 is reiterating, a young person is not an oddball if they’re more at home assisting with DIY projects or putting up shelves in their bedroom than they are in the classroom trying to remember the causes of a battle that took place hundreds of years ago. I’m not snarling at education per se—it clearly has an important role in shaping society—but it’s too heavily weighted towards people of a certain persuasion. Equality and diversity issues have never been so prominent (about time!) but I don’t feel our schools and colleges are altogether inclusive. It’s a conversation I have with my son, Isaac, a lot. He’s at an age where he’s got to make career decisions but history is repeating itself in that his skills are undervalued. He might not have been top of the class in English or history, but he could take a motorbike apart and put it back together again before most of his friends could boil an egg. 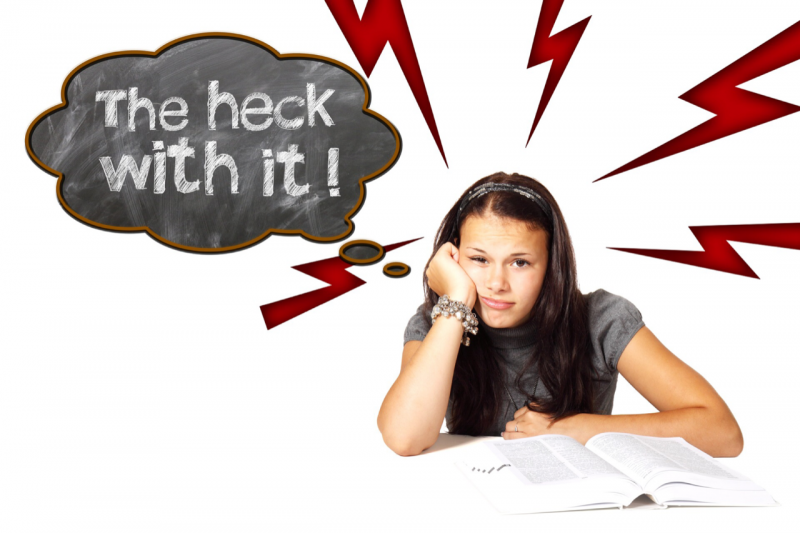 It’s not easy to give that type of savvy a score or mark it in a test, so it’s demeaned. Why should someone with such practical aptitude not be given the same breadth of opportunity as another whose skill-set will better equip them to take a written assessment on a balmy summer’s day in a school hall? I have much in common with my son, Isaac, including a love of mechanics and motorbikes. 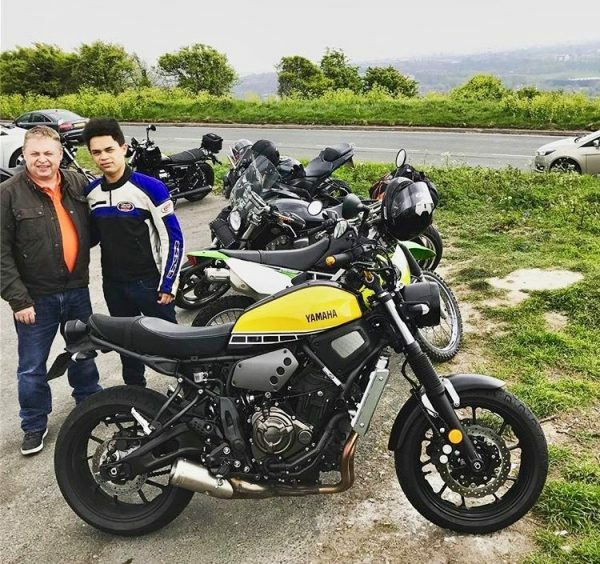 Here he is before his first ride on a KLX125 on his 17th birthday last year. I’m not suggesting we replace school desks for workbenches. Part of the problem is the education system’s apparent inability to apply theories to the practical environments where they might be utilised. Science, technology, engineering, and mathematics (STEM) learning materials, for example, are too often isolated in a classroom. Trigonometry (something about lengths and angles of triangles) used to pickle my brain but when similar theorems were applied to machining products, components, or parts, they came to life. All of a sudden there was a point to it. Phil Worsley, teacher of technology at The Joseph Whitaker School, understands. 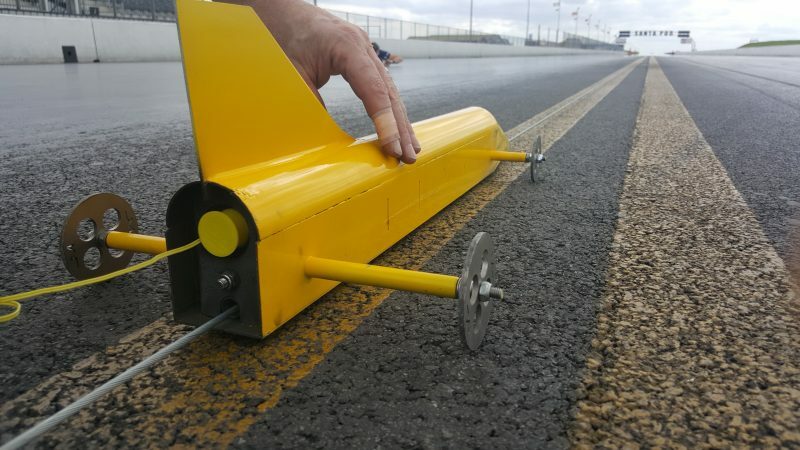 Late last year, we circulated a press release about Mr. Worsley’s after-school STEM club using a 5t capacity Radiolink plus wireless load cell in support of their attempt to send a rocket car through the sound barrier later this year. Much of what they explore is in a textbook somewhere but it’s lifted from those pages by a dynamic, inspirational teacher that I wish had taught me when I was younger. Isn’t this apprenticeships in a nutshell? #NAW2018 could even use it on their marketing materials. It’s not, er… rocket science. I like the sound of Mr. Worsley’s “discovery learning” concept. My company is a proud member of PETA Ltd. (formerly known as the Portsmouth Engineering Training Association), through which we have welcomed three standout apprentices—Jessi Boskovic, inside sales; Zoe Silk, inside sales and hire; and Josh Young, calibration technician—all of whom have gone on to take full-time positions here. As PETA says, and I’m sure Jessi, Zoe, and Josh would agree, “an apprenticeship is an achievement to be proud of.” Hear, hear! As I hope they would also concur, apprenticeships are an effective tool for sharpening one’s people skills. Getting out of the educational environment into a workplace for a period of time each week offers a priceless opportunity to engage with professionals of different ages and backgrounds. It’s not necessarily a component of more academic studies where it’s a missing link. Think of the head-start an apprentice has by the time they qualify and take a full-time position versus someone who has spent the last 15 years of their life in a classroom, sat next to people their own age, listening to a teacher or lecturer. We’re hoping to fold another apprentice into our fabric later this year, likely to be based in our new machining area under the guidance of Marcus MacDonald, machine shop supervisor. Marcus and I just about remember our own apprenticeships; we met on the same course back in 1986. A fabulous opportunity awaits a young person to work in arguably the most fascinating division of our operation, which houses a computer numerical control (CNC) milling machine, lathes, manual turret mill, band saw, hydraulic press, and more fun stuff besides. Many years have past since Marcus and I studied together in 1986, but apprenticeships have stood the test of time—much like us! Since acquiring a new unit for the machine shop and on-boarding Marcus last spring, the added in-house resource has performed even beyond our own high expectations. We’ll circulate a press release about it in due course but we’ve recently shipped our largest ever order to Asia, which comprised nearly 80 load cells, weighing 7t in weight—yes, weight, not capacity. All products in the shipment were machined in the shop, adding profitability and efficiency to delivery of the landmark order. 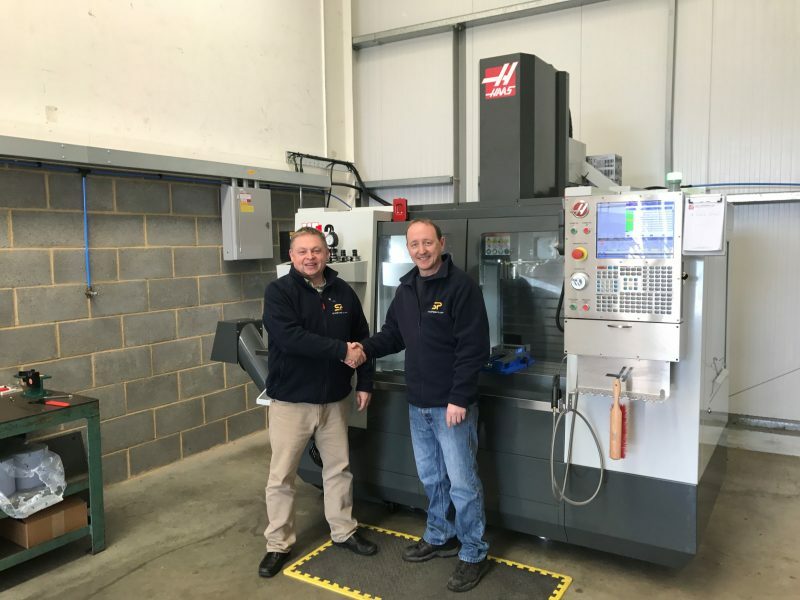 It’ll be a prerequisite for our new apprentice to be interested in the product centricity of our business and the machine shop is a perfect place for that intrigue to flourish. Further down the supply chain, that equipment is applied in diverse applications across the world. 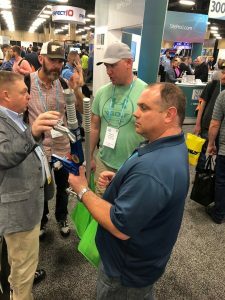 Last month (February), Wayne Wille, national business development manager, and I launched one such new innovation, CableSafe, to plumb and tension professionals at the National Association of Tower Erectors (NATE) annual event, Unite, which took place in Nashville, Tennessee. Here, we were discussing how line pull forces must be engineered to ensure the structural capacity of a tower is not compromised. While the new apprentice won’t have many opportunities, at least initially, to engage with the end user community as Wayne and I did at the Gaylord Opryland Resort & Convention Center, Marcus will be sure to apply the work in his machine shop to, in the case of CableSafe, measuring synthetic rope tension in the real world. 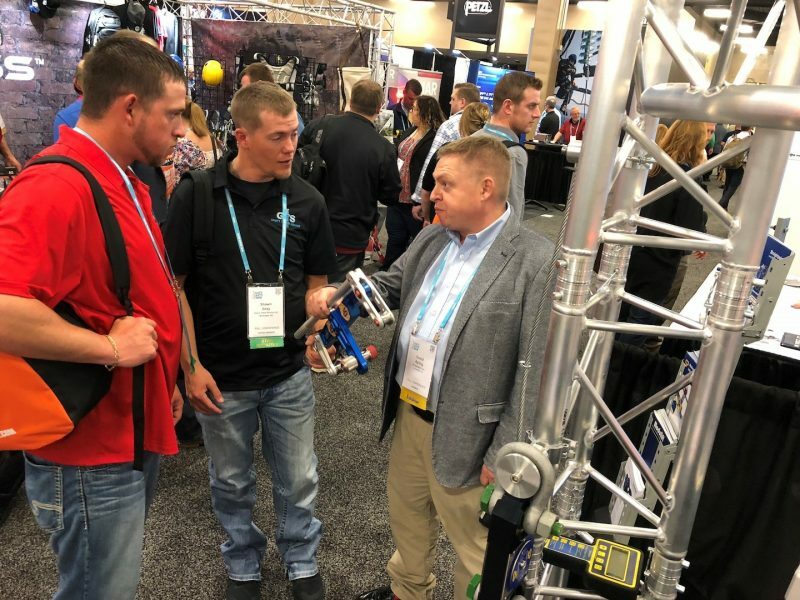 What the machine tools do isn’t really the important part; it’s about why they do it and what solution that helps to present to, say, a broadcast and telecommunications tower erection, service, or maintenance professional. It was good to catch up with plumb and tension professionals at the NATE event.